RBC tells us that they want their Avioners to follow their passion for travel and use their points to see the world! To thank them, RBC is giving 30% points back when they redeem their next round-trip flight anywhere in the world from the RBC Avion Air Travel Redemption Schedule between September 17 and 19. The offer is in the form of a rebate, so Avioners will need the full amount of points to redeem and afterwards, RBC Rewards will credit 30% of the points redeemed. 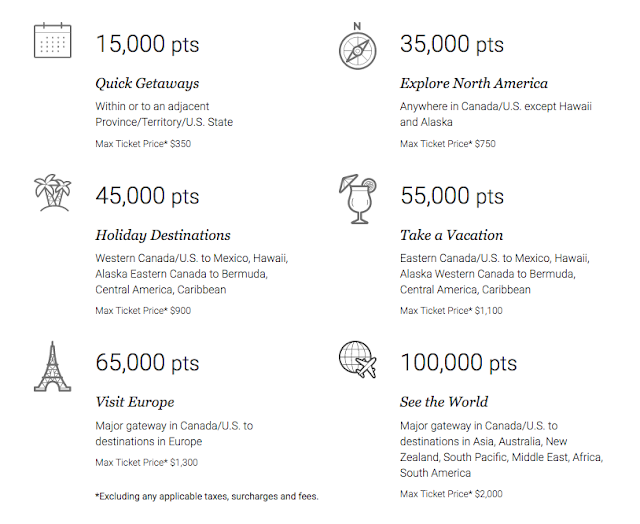 For example if you redeem 15,000 RBC Rewards points for a short haul flight you'll get 4,500 points back afterwards. Redeem 100,000 for a flight to Asia or any other far flung place and you'll get an awesome 30,000 points back! Enough for two short haul flights! RBC Rewards, which is the rewards program that powers RBC Avion, is one of Canada's most popular proprietary credit card loyalty programs and a big offer like this shouldn't be discounted! If you have been planning on redeeming for travel in the fall, Christmas, or even spring break 2019, you may want to move that booking up to take advantage of this offer. Remember that you can book on more than 130 airlines at any time with no blackout periods, even during peak travel seasons with Avion. As we discuss in our feature about Maximizing the value out of the RBC Avion Airline Award Chart you always want to try to push your ticket value to the maximum allowable on the chart to get the best value. However, if you are a value maximizer, you now have some leeway in redeeming flights that are not as close to their maximum ticket value and you'll still pull upwards of 2.33% or more out of your points. In fact if you can get a short haul flight right at $350 and and use the 4,500 points you are getting back from this offer on your next short-haul flight, you are getting a 3.3% return on the base ticket amount. That's a really good value. Of course taxes and fees still need to be paid, which you can, as always, still use your points for at a rate of 100 points to $1 (and still earn 30% back on these points if you book during the offer period). This is a great offer for anyone that’s a current Avioner who is looking to get the most out of their points! We're happy to see RBC is taking the plunge into the world of reward rebates! It has proven to be very popular with airline and hotel programs and it only makes sense to have proprietary credit card programs get into the mix! Instantly save 3₵ per litre on fuel and earn 20% more Petro-Points and RBC Rewards points when you link your Petro-Points card to any RBC debit or credit card online.